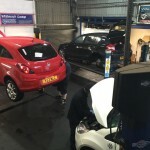 If you're looking for a trusted local garage in Bolton, then make Whitecroft Garage your first choice for service and reliability. A family run business, our focus is placed on offering our customers high standards of workmanship and service through our qualified team. Our qualified team is on hand to offer you a first-rate service, everytime.